MK Dons have signed Cardiff City striker Rhys Healey on loan until January. 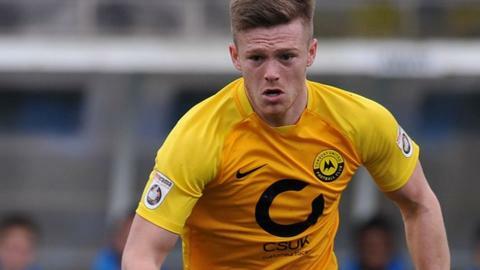 The 23-year-old has previously had loan spells with Colchester United, Dundee, Newport and Torquay. He could make his debut for Paul Tisdale's side against Exeter City - where Tisdale spent 12 years as boss - on Saturday. "With his work-rate and ability, I think this is a nice fit," Tisdale told the club website. "He is a player who is hungry to play and prove himself."